We are proud to invite you to the latest AIGA Pescara experience! We work everyday in an international professional environment and we need to improve our English skill. meetiing we all must speak only English! The event is meant for lawyers who believe that our job needs to evolve and to improve without territorial limits. 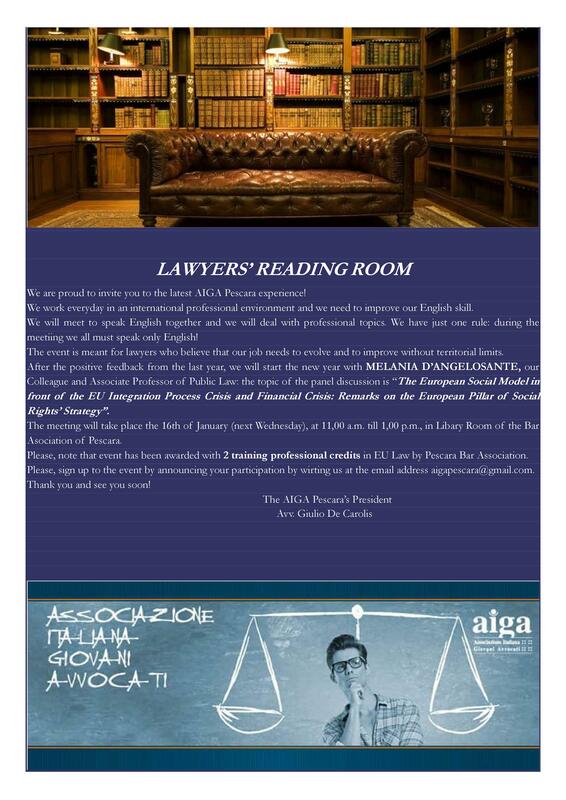 Please, note that event has been awarded with 2 training professional credits in EU Law by Pescara Bar Association. Please, sign up to the event by announcing your participation by wirting us at the email address aigapescara@gmail.com.